Ullapool is a large village with pretensions to the status of a small town. Certainly, although having a resident population of just over a thousand, it can claim to be the capital of a very extensive area of the north, there being no larger town within forty miles. There are shops in plenty, banks, hotels, guest houses and many private houses within a pattern of streets apparently not developed haphazardly but laid to a master plan. Such is the case: Ullapool was designed by a Fisheries Association in 1788 as a base for the herring industry and today the centre of activity is still the splendid harbour, a place of boats and bustle and screaming seagulls. It increased in importance latterly when Ullapool took over from Kyle of Lochalsh as the port of departure and arrival of the Stornoway ferry. 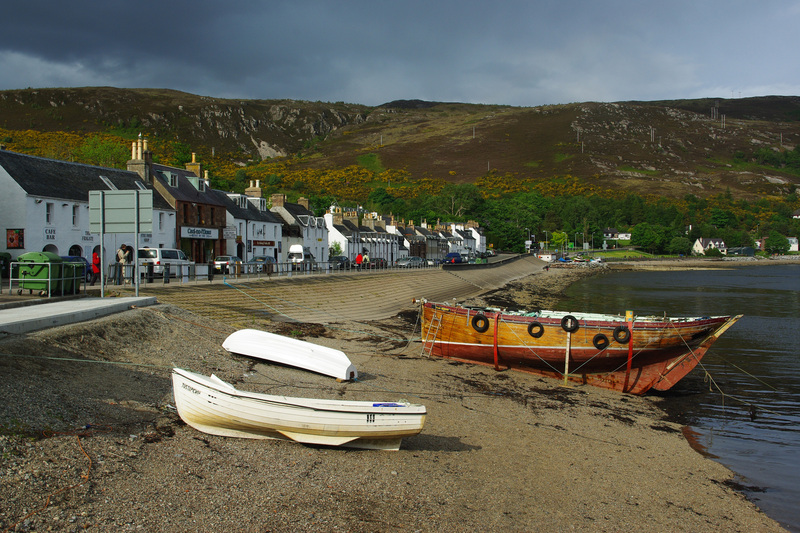 Ullapool is a real hidden gem that is worth a visit on your tours of Scotland.